TCI has grown from a single truck plying on a single route to becoming India's leading integrated multimodal logistics service provider with a global presence. It is with the amalgamation of many diverse forces that a complete solution emerges. As services are getting more and more specialized and segmented, customized solutions are the need of the day. TCI's range of services encompasses the entire gamut of supply chain services from the point of origin to the final end customer. 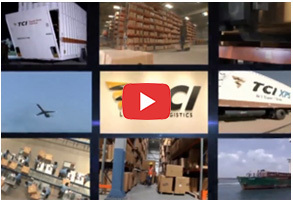 TCI has been continuously introducing new and innovative services. From multimodal transportation (road, rail, air, sea) to express delivery solutions, from freight forwarding and customs clearances to warehouse management services, each of the services are linked under a single Customer Relationship management system for maximum benefit to clients. The company strategy is to cross-sell its broad range of services, deliver to any corner of the world through specialized and trained professional teams to create superlative value for our customers. TCI has planned an aggressive expansion programme. The company will invest in state-of-the-art, large scale, multi-user multi-product warehouses, ships, trucks and trailers, and technology to establish itself as a complete logistics service provider.